In order to penalize consumers who do not wish to take on the additional safety and security risks associated with smart meters, utilities typically charge those customers punitive fees. They justify or rationalize these fees by proclaiming that other customers should not subsidize the few consumers refusing smart meters. In actuality, those customers refusing smart meter risks are simply requesting a “same level of service” with a traditional analog meter. Logically, in those circumstances, why should there be any change in how the customer is billed for electric service? Additionally, however, even while a customer is paying a punitive fee for a smart meter refusal, they nearly always are also paying for the infrastructure costs associated with having a smart meter, even though they don’t have a smart meter. Does that seem “fair”, i.e., being charged twice? This issue was discussed at the March 14, 2017, Michigan House Energy Policy meeting chaired by Representative Gary Glenn. Highlights from that meeting are provided below. 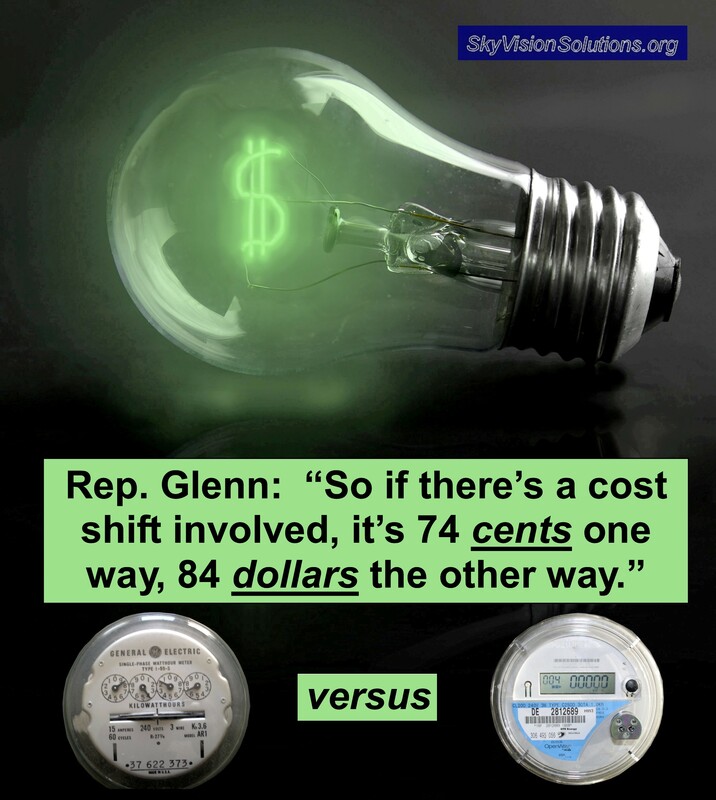 Representative Gary Glenn, as an aside, first indicated that his “smart” meter “failed” over the weekend, and the utility company came out and replaced it with an analog meter. We should all be so be lucky for such a replacement in order to have more reliable (and safer) equipment on our homes to help deliver electric service. Customers who participate in smart meter deployments in Michigan could potentially pay up to 74 cents per year for those opting out of smart meters, assuming that utility personnel are required to spend extra time to read or process the readings for those consumers refusing smart meters. 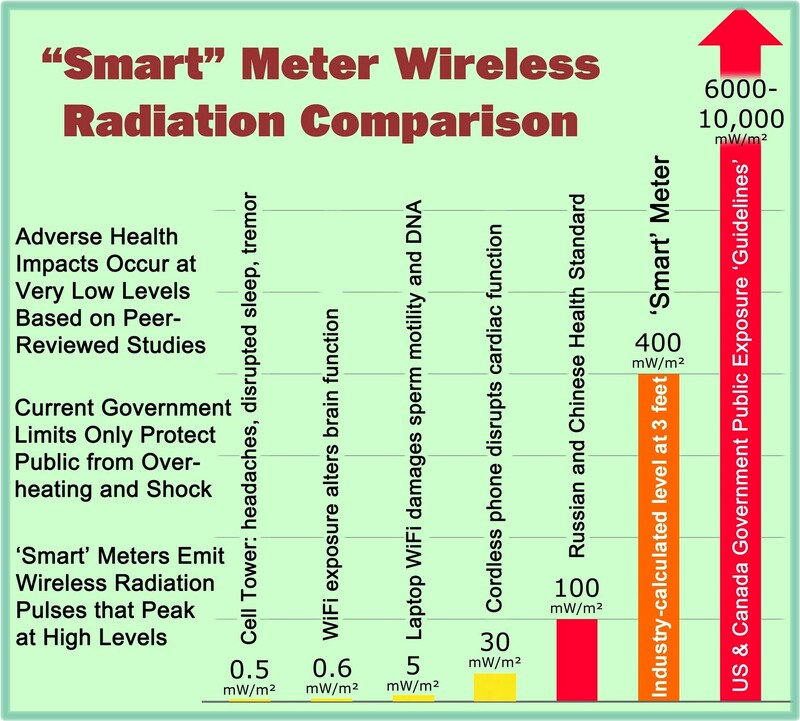 On the other hand, just for Consumers Energy, if you take the $ ¾ billion rollout of smart meters divided by 1.8 million customers, everyone would be paying an extra $84 per year, and thus customers without smart meters are paying $84 per year subsidizing those who do. So who is subsidizing whom? There is no mandate in Michigan law for smart meters to be installed. DTE customers who opt-out of smart meters are still saddled with paying for a digital meter for which they are trying to avoid since the utility does not provide for the retention of an analog meter. This entry was posted in Smart Grid, Smart Meters, and RF Emissions and tagged Costs, Michigan, Opt-Out, Smart Meters. Bookmark the permalink. SkyVision Solutions: Thank you, thank you for such timely articles that tell it like it is and always well documented with references. Many of us applaud your work.